The Dundee tyre plant, which employs 845 people, is due to cease operations by mid-2020. 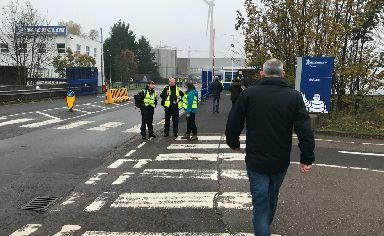 An action group set up to look at alternative options for the closure-threatened Michelin factory will hold its first meeting on Monday. The action group will be led by Dundee City Council leader John Alexander and Steve Dunlop, chief executive of Scottish Enterprise, with both Scottish Finance and Economy Secretary Derek Mackay and Secretary of State for Scotland David Mundell also involved, as well as John Reid, director of Dundee's Michelin site. He will stress that "time is of the essence" as Michelin have agreed to look in detail at any proposals brought forward by the action group and trade unions. Speaking ahead of the meeting Mr Mackay said: "Combining the expert knowledge of national and local government and our enterprise agencies, the group will seek advice from a range of manufacturing leaders and the local workforce - those who know the plant and workforce inside out - to explore all options for the future of the Michelin plant and its highly-skilled workforce. 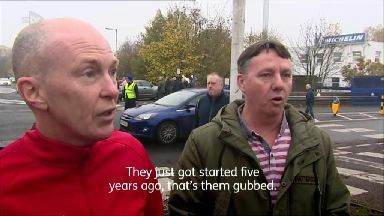 "Despite confirming they intend to close the plant in 2020, Michelin have agreed to give our proposition a hearing and so time is of the essence. "The Michelin Action Group will work tirelessly in the coming weeks to produce a proposition that outlines what can be done to help retain a presence in Dundee and examine how the plant could be re-purposed for the future if Michelin decide to press ahead with the closure."